Lead generation has always been a blessing for companies in every sector and almost every region of the world. 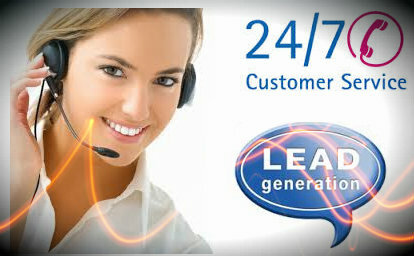 And in this process, call centers with its lead generation services have acted as a vital support for these firms. • The call centers provide lead generation in different forms like telemarketing, inbound calls, general inquiry etc. • Call centers have an ocean of precious data collected from previous interactions. This data helps in predicting the behavior of potential customers during lead generation process. • The agents of these lead generation agencies have expertise in communicating smoothly with the prospected clients which helps in converting them into hot leads. • The outsourcing of call centers for lead generation is highly beneficial in terms of cost control as compared to installing the process in-house. • The top notch customer support services provided by call centers can be indirectly beneficial for influencing the leads of the company through positive word of mouth. This ever-blooming industry thrives in current competitive realm through the support of lead generation services. The real estate and realtors can utilize these services to contact potential buyers for discussing the decrease in the property prices. These prospected buyers can also be contacted to inform about launch of new projects or availability of properties for sale in the neighborhood. Healthcare industries can utilize lead generation support for multiple products and services including home healthcare services, diagnostic kits, imaging solutions and medical management solutions. The target groups include doctors, hospital management staff, diagnostic centers and dental clinics to name a few. Even the target groups like senior citizens can also be contacted by telemarketers directly for several medical products and services. The banking sector can use the call center services for generating leads related to loans and other offerings by the bank. Even financial service providers for both B2B and B2C products can use lead generation which can bring a positive improvement in the level of the business. It is the sector which has maximum dependency on different lead generation processes to attract the potential to buy insurance. The call centers have high experience in influencing the customers by discussing the advantages of each policy along with terms and conditions linked to the scheme. 1. Train the employees to use organic conversation as helps in building a better rapport with the person on the other end. 2. A combination of inbound and outbound telemarketing along with emails and newsletters works best for lead generation campaigns. 3. Call centers can use the existing customer recordings to examine the behavior of prospected clients through the process known as data analytics. 4. Make sure that agents employed in lead generation process have in-depth knowledge related to ins and outs of products / services. 5. Do not focus only on hot leads but give emphasis on every individual which can be your prospected consumer in future. 6. Make sure the list used for calling the prospects is updated on regular basis. 7. Analyze the most optimum time for calling and qualifying the leads. Generally, Thursdays and Wednesdays are considered the right days for qualifying the leads. Also, 3.30 P.M to 6.00 P.M. is considered apt time for contacting the leads. 8. Last but not least, listen attentively to the prospects and offer advice which will ensure that they will remember the company whenever they are interested in purchasing the product or service. With the advent of startup revolution, outsourcing of lead generation services has also become an important strategy for this pool of startup firms. Therefore, each sector in the contemporary scenario can take support of lead generation from call centers to thrive successfully.